Constance Lemuria Seychelles: An extraordinary island setting This stunning deluxe property on Praslin island northwest coast is edged by three incredible white sandy beaches, including the amazing Anse Georgette, it is the perfect place to relax and enjoy the natural beauty of this paradise on earth. This Leading Hotel of the World boasts 88 Junior Suites, 8 Senior Suites,8 Beach Villas and the stunning Presidential Villa, all spread along the magnificent setting of Petite and Grande Anse Kerlan. Space, luxury and elegance are combined to offer the perfect island getaway. The hotel has three restaurant and four bars, offering exceptional dishes prepared by a brigade of Chefs who make Lemuria a culinary reference point in the Seychelles. U Spa by Constance and a prestigious range of treatments from Valmont are available on property, with the focus on the guests wellbeing. Rates are quoted in EURO and all other currencies are just an indication. 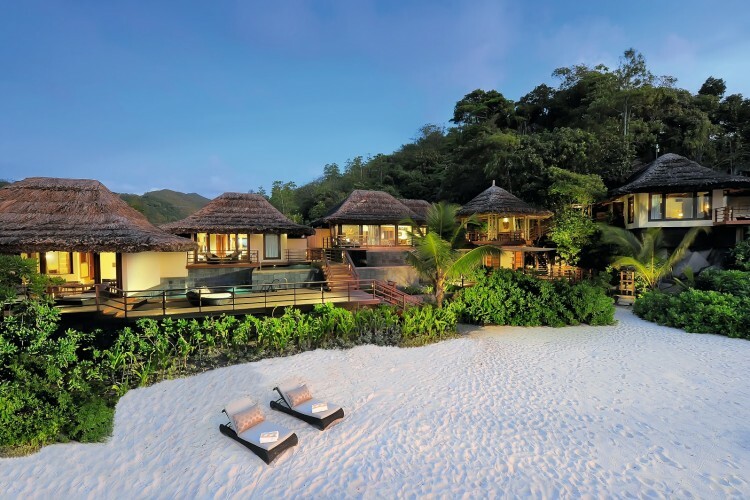 Just 5 minutes from Praslin airport, Constance Lemuria enjoys an idyllic location on the northwest coast of the island. Surrounded by luxuriant and rare vegetation, washed by the warm waters of the Indian Ocean, the hotel lies directly on 3 beautiful sandy beaches. I'm trying to come up with something that's not good about Lamuria but I can't, it's perfect. Spend a good portion of our honeymoon here as well as my birthday. A beautiful place. Fantastic facilities and fantastic staff. The beach, pools and golf are all first class and we were treated and spoilt all week. Could not recommend more highly. We didn't stay at this resort but we were welcomed to walk to the most beautiful beach, Anse Georgette. Absolutely stunning. It is a Kind of paradise. The best place to relax and enjoy the Seychelles island.